The Elna trademark has always symbolized quality, innovation and service. Today, Elna continues to build the company with these three elements as the foundation. Elna is a growing company committed to bringing excellence to our customers and our international distribution network. Elna is active in more than 60 countries, throughout the world. Elna's strength has its roots in our understanding of the fact that we are working with an international market place. As a result, it is our key objective to address the different needs and trends of various markets in our product development. Elna has a firm belief in making sewing fun. 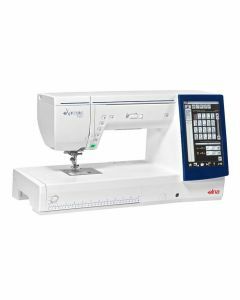 And, to make sewing fun, the machines need to be: easy to use, versatile and modern. Elna sewing machines have been around since 1940 with the launch of the Elna # 1, the first compact, portable, electric sewing machine with a free arm (when unfolded, its metal carrying case formed a sewing table). The Elna # 1 was green in color, breaking away from the traditional black, an innovation in itself for the time. The machine was a resounding success and so began Elna's commitment to the home sewing industry.